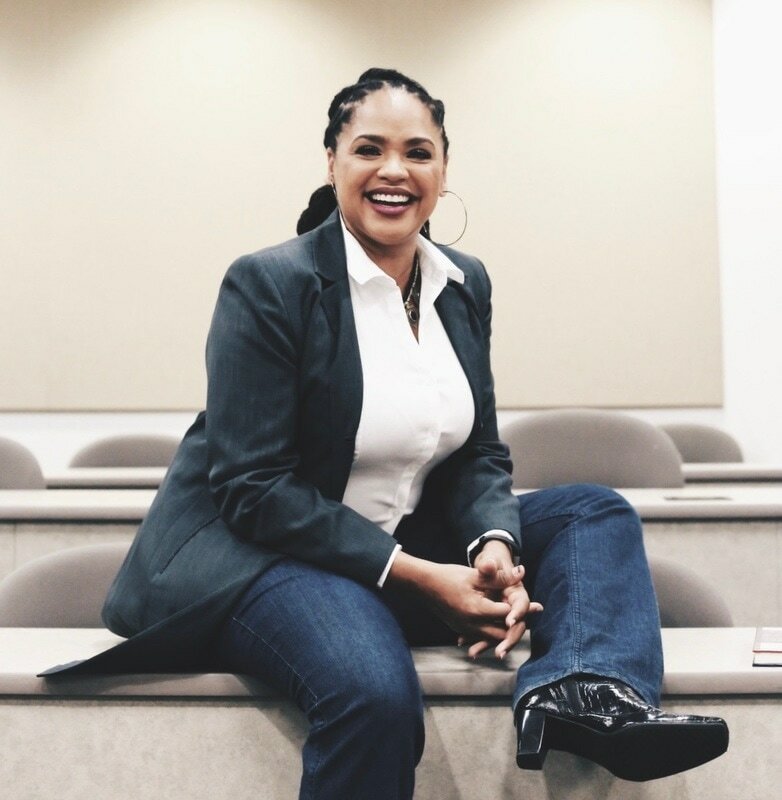 Dr. Roslyn Satchel is a critical race studies scholar-activist who researches and teaches about communication, ethics, and law. She serves as a Professor of Communication at Pepperdine University. Roslyn is an experienced cultural competency consultant and an itinerant elder in the African Methodist Episcopal Church. In her book, What Movies Teach about Race: Exceptionalism, Erasure and Entitlement, she brings her media, legal, and religion background together to examine cultural representations in the most influential films of all time. Dr. Satchel brings together her media, legal, and religious backgrounds to examine media representations and the ways they connect with political, economic, and social systems that impact human rights globally. What Movies Teach about Race: Exceptionalism, Erasure and Entitlement reveals the way that media frames in entertainment content persuade audiences to see themselves and others through a prescriptive lens that favors whiteness. These media representations threaten democracy as conglomeration and convergence concentrate the media's global influence in the hands of a few corporations. By linking film's political economy with the movie content in the most influential films, this critical discourse study uncovers the socially-shared cognitive structures that the movie industry passes down from one generation to another. Roslyn M. Satchel encourages media literacy and proposes an entertainment media cascading network activation theory that uncovers racialized rhetoric in media content that cyclically begins in historic ideologies, influences elite discourse, embeds in media systems, produces media frames and representations, shapes public opinion, and then is recycled and perpetuated generationally. Dr. Roslyn Satchel is an activist-scholar who studies and teaches about media and cultural competence. She serves as a Professor of Communication at Pepperdine University. What Movies Teach About Race provides a piercing critique of the racial binaries at the heart of the most influential movies in history. As Satchel deftly reveals, American film industry monopolies have, for the past four decades, rhetorically assailed global audiences with films that have collaterally championed white supremacy and American exceptionalism. This very timely investigation, which is really about the relationship between the power of film and democracy, ends with a call to researchers, educators, students, activists and audiences, but most of all to the American movie industry, to break free from the divisive formulas of racialized film, and aspire to a cinematic literacy that upholds social justice as the frame through which we see ourselves in the movies we watch. Book reviews for What Movies Teach About Race from esteemed professors from universities around the world. 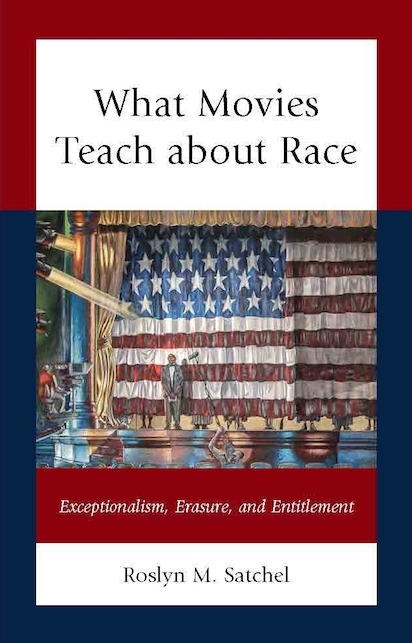 Dr. Roslyn Satchel talks about her new book, What Movies Teach Us About Race: Exceptionalism, Erasure, and Entitlement. "Your book is one of the best we’ve ever read on race and Hollywood film. I hope you don’t mind, but we just met with three of our colleagues... and told them about it and have shared it with them." "I wanted to let you know that some of the students in the graduate film course I am teaching this quarter are reading sections of your book and are really enjoying it and also think it is a very important book. One student, in particular, has found what she has read thus far, inspirational." "I can’t thank you enough for sharing your remarkable book with me. I have only just started it and am, thus far, blown away! The manner in which you describe, employ and practically apply complex notions and theories, which prove essential for understanding multiple dimensions of critical media studies is quite brilliant and yet especially accessible due, in large part to the breadth of you knowledge as well as your exceptional writing talents. "Your discussion of stereotyping, in Chapter 2 and how they are informed by — and provoke — binary oppositional thinking and one-dimensional and reductionist epistemologies, is revelatory; and I know that it will provide my students with a much better understanding of what is too often described in overly abstract ways, which — too often — fail to demonstrate how theory informs practice. Congratulations on the publication of a very important and highly relevant text." "I love talking with folks about my work because I love what I do. Creating a new world that increases human flourishing inspires enthusiasm for all." "To increase awareness and recognition of practices that skew public opinions to bring about change in perspectives and attitudes and narrow the gap in gender and racial inequality." "My son, parents, community and canine kids keep me grateful and inspired in a multi-generational village of love and caregiving."